These days everyone is familiar with e-commerce. And our more social media savvy readers are probably all clued up on f-commerce (thats Facebook commerce folks). Ive even heard Googles Adwords and Adsense business referred to as g-commerce. But what about the next letter in the alphabet. How come no one is talking about h-commerce? Make no mistake; healthcare commerce online is big business (A Forrester research report projects 2012 Healthcare spending online will reach $8.7 billion). And the traffic for online health retailers is pretty impressive, too. Drugstore.com, a pioneer in the space nets 4.66 million unique users a month (and a not too shabby $416 mm a year in annual sales). But their traffic pales next to more traditional drug retailers like CVS (6.37 mm uniques per month) and Walgreens (10.6 mm uniques per month). And then, of course, there is the 800-pound gorilla of health info online, Web MD with a whopping 16 million unique visitors per month (to put that number in comparison, the New York Times website average 17 mm uniques per month). Its clear that Americans are more than comfortable obtaining health information online and theyre also comfortable with online purchasing of the drugs and other healthcare products they need. So why arent we doing a better job of selling those products to them? Dont get me wrong. Im not advocating digital snake oil sales or anything similarly distasteful (or anything that might get anyone in trouble with the FDA). In fact, quite the opposite. As an industry, its a real black eye for us that most people associate online drug information with spam e-mails offering cheap Viagra and that most of the discussion of drug sales online revolve around things like obtaining cheap Canadian pharmaceuticals. No wonder the Pharma industry has such a bad reputation with many consumers. While drug manufacturers have sat in their ivory towers doing their best to ignore conversations with consumers, the digital space has been ceded to shady characters who have no interest in preserving brand integrity or serving patients needs. Yes, were bound by strict regulatory requirements that preclude us using some of the traditional methods that other consumer marketers use to tout the features and benefits of their products. But that doesnt mean that we cant find new and better ways to educate consumers about their health and help them maintain positive lifestyles. Or even just make their lives a little easier. Consider the plight of a young mother who has just relocated with her family to a city where she doesnt know anyone. She needs to find a GP she can trust for her family. She needs to find a pharmacist she can trust as well. Maybe one of her children has special needs and she needs to find a local support group. Maybe she just needs to know where that 24-hour drugstore is located. Perhaps she has a prescription that has run out and no one to authorize a refill. What does she do now? She probably looks at Yelp or one of the many sites that publish HCP reviews. She may type the name of a national drugstore chain into a search engine and find a store at random. And she will spend a lot of time online looking for resources to help her and her family. Not a problem, right? We all know young moms have nothing but time on their hands. How much better would it be if she were able to go to a one stop portal that contained tons of information about the healthcare resources available in her community? A site that listed HCPs, local specialists, pharmacists and patient support groups. A site that also provided links to educational resources online and e-commerce partners who could help with issues of supply and cost. A site sponsored by one (or several) Pharma companies that provided a real service to the community and a positive representation of our industry online. And, not for nothing, a site that increased compliance and by extension benefitted both the patient and the Pharma company. The above, is just one example, of ways we can interact with and benefit the end consumer, without violating FDA guidelines. Im sure our readers could come up with numerous other ideas. The key here is to once again step outside the narrow confines of our traditional industry thinking and to learn from other players in the market. A good start would be for Pharma companies to become more active in the general conversations about online marketing and retailing that take place at sites like INTERNET RETAILER and SHOP.ORG. Ultimately, the end consumer for Pharma is a consumer and we need to realize that despite all the rules that bind us, the purchase funnel for our products is no different than any other. What do you think? 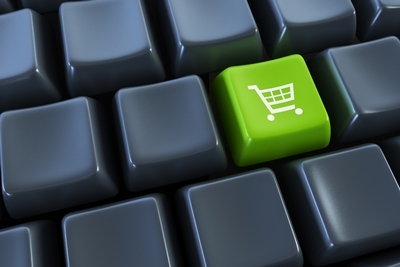 Is this the year we finally start talking about h-commerce? 2 Responses to Why Aren’t We Talking About H-Commerce? And the link to your own post. I agree these will all be trending as we move forward.